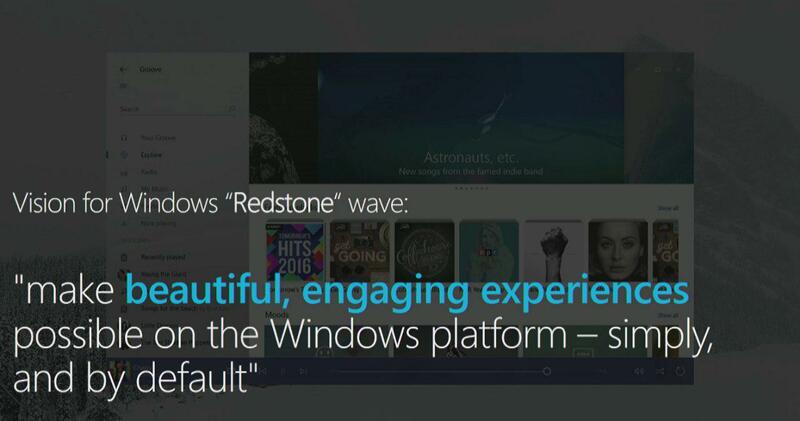 Did Microsoft Just Confirm Windows 10’s Rumored Design Refresh? Last year, reports suggested that Microsoft was planning to bring improvements to Windows 10’s user interface as part of the scheduled Redstone 3 update. Windows 10 Redstone 3 is set for a late 2017 release. Following these early details, last month folks at MSPoweruser showed off the rumored “Project Neon” that is expected to be a minor incremental upgrade for the Windows 10 design. Today, Microsoft has kind of confirmed Project Neon. What’s next for Windows 10 design language? Project Neon. For the first time, the company has shown off what’s next for Windows 10’s design language at the Windows Developer Day event today. 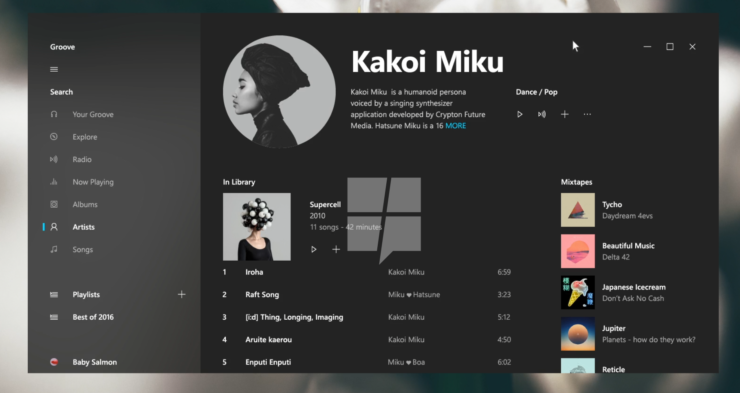 While Microsoft didn’t specifically talk about Project Neon, in one of the sessions named “Build Beautiful, Engaging UX,” the company offered first glimpses of the changes coming to the Windows 10 interface. The image shared above was included as a slide during the presentation and resembles the leak that was shared by MSPU earlier in January. The screenshot used in the presentation closely matches the images that were leaked in January. Here are the leaked Project Neon images for reference. 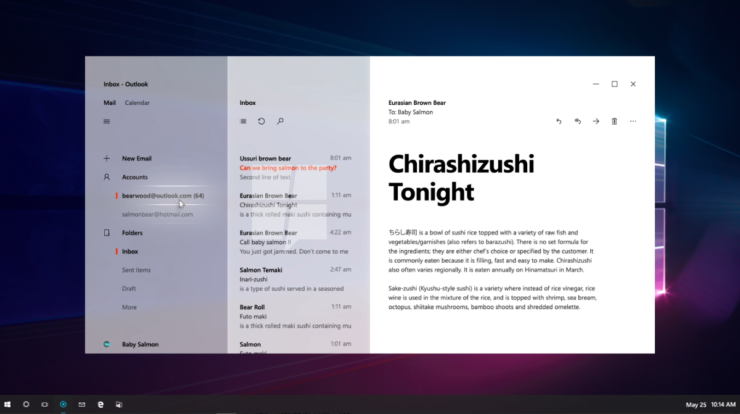 Earlier reports had suggested that Windows 10 Project Neon will bring new transparency effects and a more ‘fluid’ interface, with an emphasis on typography. The upcoming changes to the Windows 10 design language heavily rely on “animations, blur, and consistency.” Microsoft is reportedly also introducing a new “Acrylic” component to the Windows 10 UI, which focuses on blurring the background and sidebars, similar to Vista’s Aero. The focus, however, will be on offering a cleaner and less messy user interface. While the latest screenshot doesn’t offer any details, it does confirm earlier leaks and information making many believe that Windows 10 Project Neon is very much under development. Project Neon is expected to arrive later this year with Windows 10 Redstone 3 update. We hope to hear more about it at the Build 2017 in May this year.